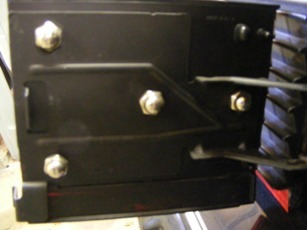 This is a 3 piece set of tail light blackouts for 1978 - 1981 Camaro. These blackouts cover the tail light section allowing the lights to show through. 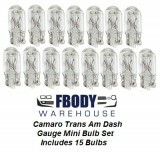 They are molded from heavy duty aircraft acrylic and are easy to install. Produced by GTO the leader in smoked lighting covers! Includes the left and right hand covers and fuel door cover along with a full mounting hardware kit. 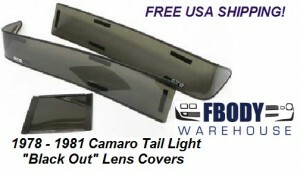 This is a 3 piece set of tail light blackouts for 1978 - 1981 Camaro. These blackouts cover the tail light section allowing the lights to show through. 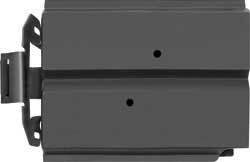 They are molded from heavy duty aircraft acrylic and are easy to install. 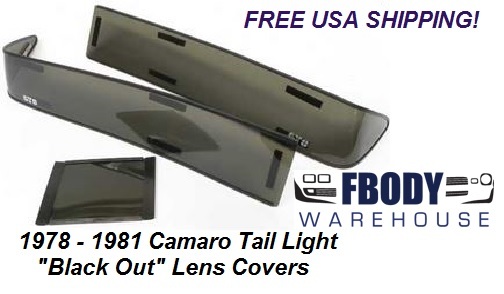 1978 - 1981 Camaro Head Light / Parking Light Covers (Blackouts) Smoked!